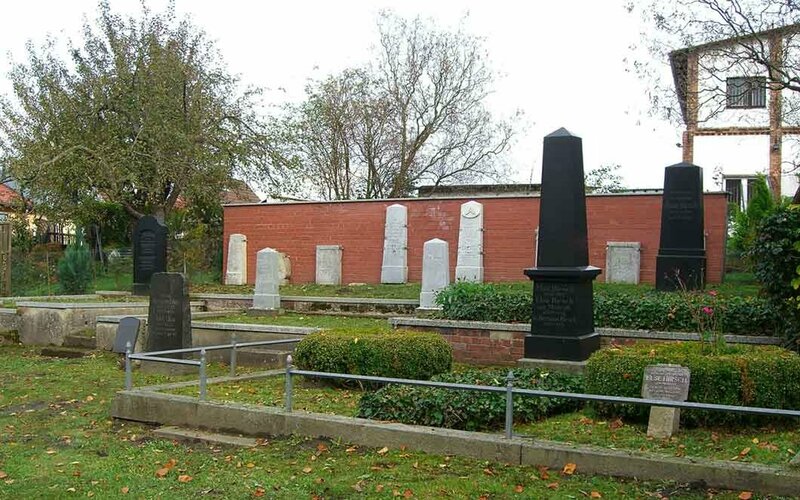 The final stop on our recent expedition in the search for the graves of Messianic luminaries in Germany. They say he had clear blue eyes. By the fiery passion with which he writes each and every word I can only imagine those eyes were piercing and could peer into the heart and spirit of a person, just as he peered into the heart and spirit of the Torah and the words of our Messiah. He was only 5’4” tall, but I would venture to say that he carried his every inch with a sense of missional purpose and with a strong, yet humble, dignity. Sometimes the greatest giants stand a little closer to the ground. Lucky's grave was our last stop in Germany. For months I’ve worked day and night translating his works from Hebrew into English. During this time I fell in love with his writing as I understood just what a giant amongst the luminaries he truly was. As we drove through the narrow winding roads of Germany we read his words out loud. With such clarity he defined the life and work of Yeshua, illuminated our faith, and strengthened our souls. 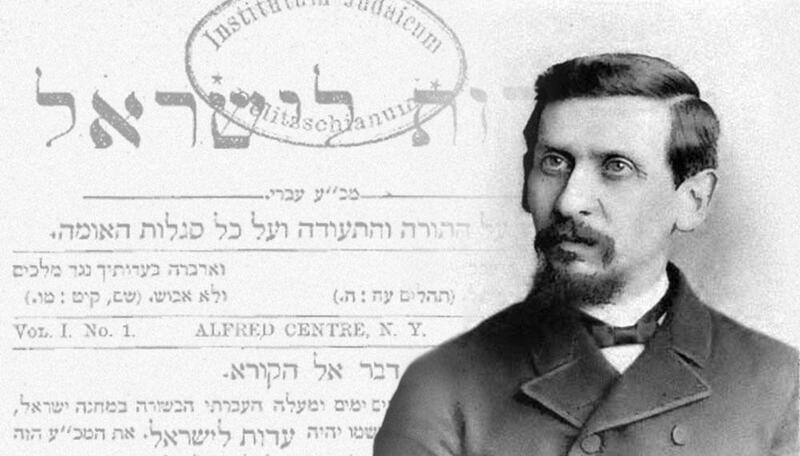 Chaim Yedidiah Pollak-Lucky is, until recently, a little-known Messianic Jewish luminary. 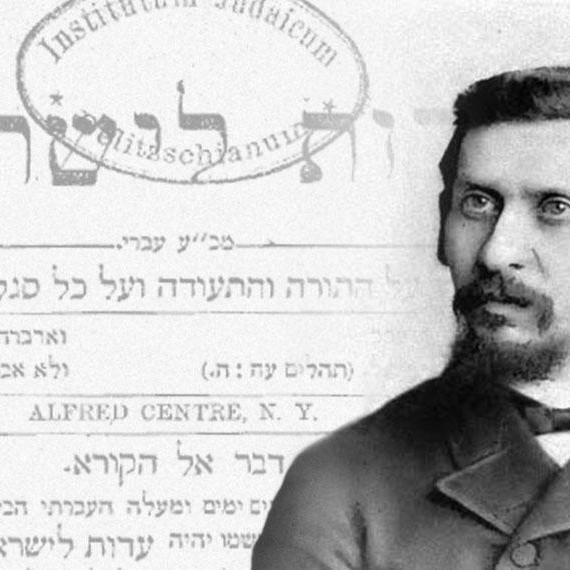 He has become merely a footnote in Messianic Jewish history, as his works have remained untranslated and unpublished for over a century. His wisdom has remained on dusty, faded, archaic Hebrew journals in prestigious libraries and archives for generations, almost entirely inaccessible. I am a Hebrew and I fear the God of heaven. I am a Jew and behold, I observe the Torah, the Written Torah and the Oral Torah, and my soul is inextricably bound to Yeshua the Messiah. He is my life-breath, for he is my Savior King. Beloved brothers of my generation! See, I have shown you…what led me to follow the path of Yeshua ben Yosef of Nazareth. I showed you that the Torah and the prophets were my guides. Because of their words and the words of our sages,…I took hold of the Messiah and will never let him go. Throughout his works Lucky explains Yeshua’s teachings with a clarity that is perhaps unparalleled, and his high view of Gentiles and their place within Jewish monotheism and the commonwealth of Israel makes him one of the most forward thinkers of his time—a Jew with a vision toward the kingdom. There is not one disparaging word I can think of to say about Lucky, and my heart leapt at the opportunity to visit his grave. I had spent days tracking down the location. I read multiple accounts in English, German, Hebrew, and Yiddish that testified to him being buried in the small Jewish cemetery (Jüdischer Friedhof) of Plau am See, a tiny provincial town approximately two hours’ drive north of Berlin. This tiny cemetery recorded only 123 people buried in it, and in every account Chaim Yedidiah Pollak-Lucky was listed among them. As we pulled into the parking lot right outside of this cemetery I could hardly wait for the car to stop before I jumped out of the passenger seat. I was briefly shocked to see that a mechanic shop was only feet away to the right of the cemetery, and a residential home was right next to it on the left side. This did not look like a cemetery at all, but a backyard. My stomach dropped as I scanned the graveyard. I counted fewer than thirty tombstones. My companions and I hurriedly ran to every gravestone to read the inscriptions. We read the Hebrew and German etchings. His name was nowhere to be found. We stood there in utter silence; the weight of our loss fully hit us. According to the German neighbors of this cemetery, this graveyard had been destroyed multiple times during and after the war, and these were the only stones that still existed. We went to the town’s city hall just to make sure, but to no avail. Lucky’s tombstone was forever lost. This righteous man no longer had a memorial plaque to commemorate his humble yet illustrious life. There was no place to visit; no physical testament to a Jewish life lived fully in service to the Messiah. Before we left the cemetery we said kaddish, a prayer that glorifies and extolls HaShem even in the midst of utter sadness and misery. We felt that misery. Our disappointment was deep; our sadness was real. A man who inspired us in our faith, in our theology, in our Jewish identity, and in the vision of the kingdom of heaven, lies in a graveyard with no one to know he was ever laid to rest here. At the entrance of the cemetery we left the beautiful bouquet of flowers that we specially bought to adorn his grave. The ride back to Berlin was filled with silence. No words could have expressed our sadness. Lucky’s work brought such clarity to our faith. Being young Messianic Jews can often be hard and we found his words to be a fresh well in a dry desert. We so wanted to honor him. In spite of this loss, Lucky will not be forgotten. Thanks to the work of Vine of David, Lucky’s works will be fully accessible in the common vernacular. His memory will be carried on through his words, and he will continue to inspire generations of Messianic Jews and Gentiles for a few centuries more. We must never forget. Even though war and anti-Semitism has threatened to throw him into oblivion, those of us who read his words and labor to carry his vision of a Yeshua-centered Judaism forward will always remember him. Now, with the forthcoming publication of his anthology, Testimony to Israel, Chaim Yedidiah Pollak-Lucky will be widely accessible and given his voice once again to astonish us with his brilliance and embolden us with his passion.